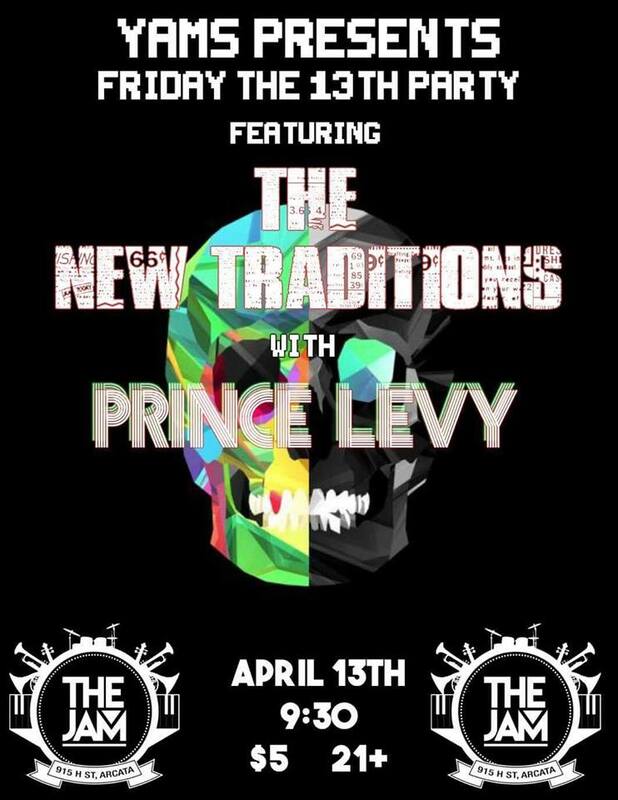 YAMS Presents Friday the 13th Party featuring The New Traditions with Prince Levy at The Jam Arcata Friday, April 13th at 9:30. 21+ event. $5 at the door.